Remi got the call. It was time to go. Il avait une photo à faire sous l'autoroute mais sur la Rhone. It doesn't matter that it is Friday night in a professional photographer's world. And so we loaded up the equipment and went. Me to lend a hand as I do from time to time. Albeit a tad unwillingly as I was in the midst of typing something else but I let it go and go. 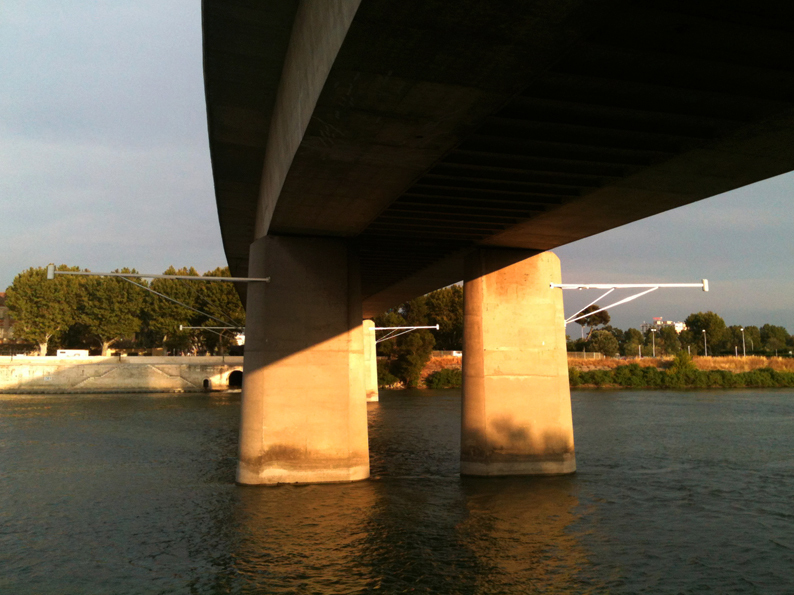 Under the bridge that is an overpass, on the banks of the "other" side of the Rhone, there is a camp of gitanes this summer. They are different from the other Roma also living outside of town but linked in having a life tightly woven together and yet set distinctly apart. We pulled up fast as Remi was catching at a particular moment and then stayed as it was missed. Burnt cotton candy twisted hair topping a smudge-faced girl in a pink jumper. She draped herself belly-down along the guardrail to watch us with bored eyes. Dogs being forced out of puppydom by a band of chasing boys. A four year old wandering pantless amongst the weeds. Lanky men with their arms folded behind their backs, walking slowly over to the Rhone to let their gaze follow the drift. A movement that was repeated like the pull of a clock. Camper doors slammed repeatedly to follow a verbal point then silence. And then guttural voices rise again. Then fall. A shiny black Labrador strained at the end of his leash, paws in the air, barking at all who crossed a line known only to him. A platinum Amy Winehouse haired teenager with eyeliner to match drifts over with her little brother in tow to look over our shoulder. She has a furry blanket wrapped around her, she nods so he will ask us, "What are you doing?" They make sullen flip flop slaps as they go but a matriarch made of leather glides silently up behind us to offer a religious medal, something we know to refuse but in doing so with kindness, we are welcome. Across the Rhone, the children's friends are called out to with corny jokes as their family bathes in what I had thought was les egouts, the sewers but Remi assures me is the runoff from an underground canal. They knew that and are camping out at the coolest spot in all of Arles. So many degrees below what we feel just ten minutes walk away. And because we are directly under the overpass, we don't hear the cars at all. Something I can't say in the least for our apartment, which at times, feels like we are being assaulted by sound that is not our own. Two young but not so young girls come back with a sac from the mini-market, baguettes poking out the top. Dinner is made and ate on a table leaned against the massive concrete pillars, quietly with just the tindrom of cutlery. No parents involved. 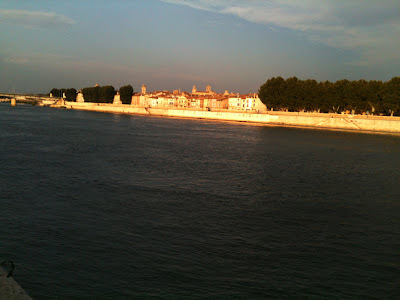 The light is its light in Arles, proud macho town. So we all watched it. Our Friday night. As we left a woman that we had not seen raised her hand in a silent aurevoir. What a fascinating setting you have described. I can only imagine Remi's photos of the same. You have some of the most interesting outings!! Thanks for sharing - have a great weekend. xo J.
Remi was there to photograph something different, Jackie. As I was holding on to a piece of lighting equipment so it wouldn't blow away, I had lots of time to look around. But I will let you know if the photo that he did take--which turned out amazingly--is published. Promise! I have seen many of these "itinerant" people, begging in Paris, living in the countryside. It seems like most communities have their own enclave. I am reading a mystery that takes place in Sweden where one of the main protagonist is a Roma that eventually helps Detective Hole solve a murder. All over the world is a sub-culture of cast-offs and shunned people written off because of where they were born. Kindness and respect goes a long way to break down these barriers. "...because of where they were born"...or their gender, sexual preference, color of their skin...I couldn't agree with you more, Richard. Your thoughtful comment brought to mind US President Obama's comments regarding the T Martin case. Kindness and respect are so incredibly powerful. I am so happy you saw or read those remarks. I was so moved, watching him in real time, no advance notice, I almost sent you a link - because of the beauty and strength of them but was afraid you might think I was just being political. I join Joan in being happy that you saw or read the President's comments...and that you mentioned them here. He spoke beyond the legal process, from his heart and soul as an African-American man who is also President of the United States. We can learn so much from him. Speaking of which...thank you for your respectful, poetic observations of individuals in the Gitane/Tzigane encampment nearby. Joan, you ARE political! In such an important way. Please do send along whatever links you want--you know that we both see eye to eye and I have so much respect for your thoughts! Leslie, he is an amazing man and his comments were so simple and yet went right to the heart. I was so grateful that he made those comments. You infuse the world you inhabit with magic, Heather. "If a tree falls in the middle of a forest and there is no one around to see it fall..."
Bisous to you, beautiful Suze. It is amazing what one can see and feel when one watches without judgment and views them within "context." The President made a powerful statement yesterday and I have taken it to heart, reminding myself to see people as individuals as you have here. When we were travelling, I really tried not to judge the tribes and traditions that we encountered. It is all relative. That said, Remi has busted me on some judgemental comments closer to home recently! So yes, good to open up, see with clear eyes. Thank you. I was there--your vivid words, my imagination. A quick trip to a seamier side of France. Yet, also familial and oh so interesting. Merci Marielle. I felt fortunate to have had that time as a "fly on the wall" so to speak! Fascinating and beautiful. I could circle around this other-world, via your poetic words, forever. In St. Maximan I had a fleeting friendship on the edge of a Roma camp, where a young woman seemed pulled by both worlds: her own and the one I returned home to, each time our brief encounter ended. Pushing my stroller back to the village after the daily walk, I wondered what the other's future would behold. Outside, the sky could be her limit, but back in her camp motorhomes now surrounded her, like four-wheeled boundaries. Such a mystery. The idea of the tension between such freedom and tight boundaries really rings true to me. It certainly is hard to imagine a future beyond that community for the young women that I saw and have seen in town. There is an interest in exchange but only for a short period and then it is dropped like a hot rock, whether from lack of interest or "otherness" I couldn't tell. That last photo is Amazing. You've captured a magical light. We have no Roma here but we have our own outcasts. If only we tried, kindness would break down so many barriers. Same as here, Loree. The "immigration issue" is hugely divisive in France too--it makes me so sad. Thank you again for your fine post. This photo was part on an ongoing story that he is working on for the local Antiquities museum and National Geographic. I think I have posted about it before but a long time ago. Wow, I had to read this post twice. I have always had so many questions about the daily life of this other world that exists here in Europe, and have never been given many answers. I have just relied on my imagination and guestimations. How were you able to witness as much as you did? Thanks for offering little slices into a world that many of us are intrigued by. Oh, I am glad that you enjoyed that, pretty lady. Bisous right back in plenitude, George. Parellel but oh so barely brushing up against each other then done. We might be going back tonight. It won't be the same but hopefully I will enjoy the different. 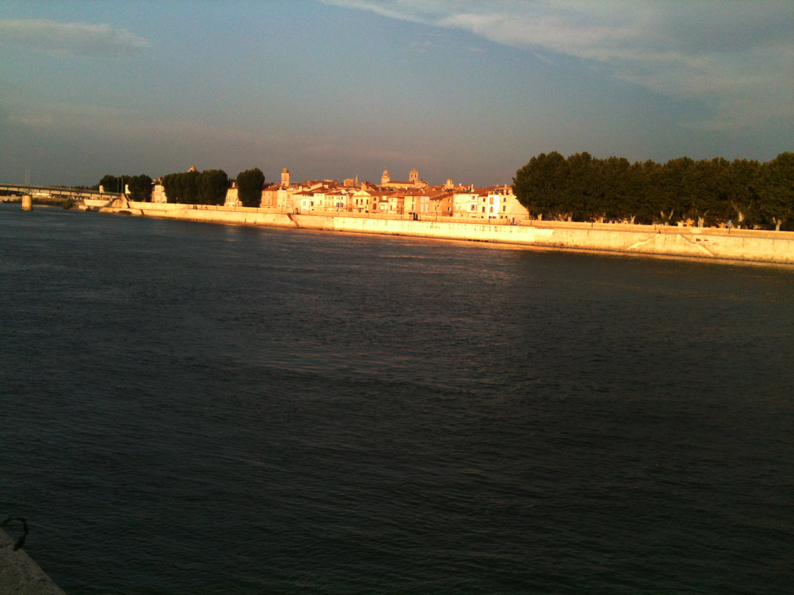 PS- Counting down the days to Provence! Can't believe how close it is getting!! !